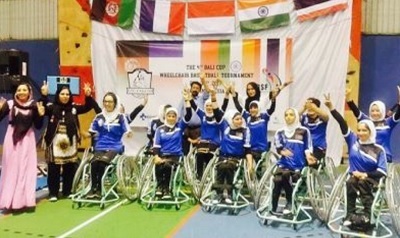 Tolo News: The Afghan women’s basketball team won the 4th Bali Cup International Tournament held in Indonesia this past week. The team won the tournament after beating Thailand 65-25 in the final match of the tournament. Sixteen girls from Afghanistan participated in the competition. The competition was held on Indonesia’s Bali Island and 14 teams from around Asia participated. Click here to read more (external link).